Happy Saturday everyone!! We are having great weather today, but are expecting rain this evening!! So we will be trying to enjoy it as best as we can!! 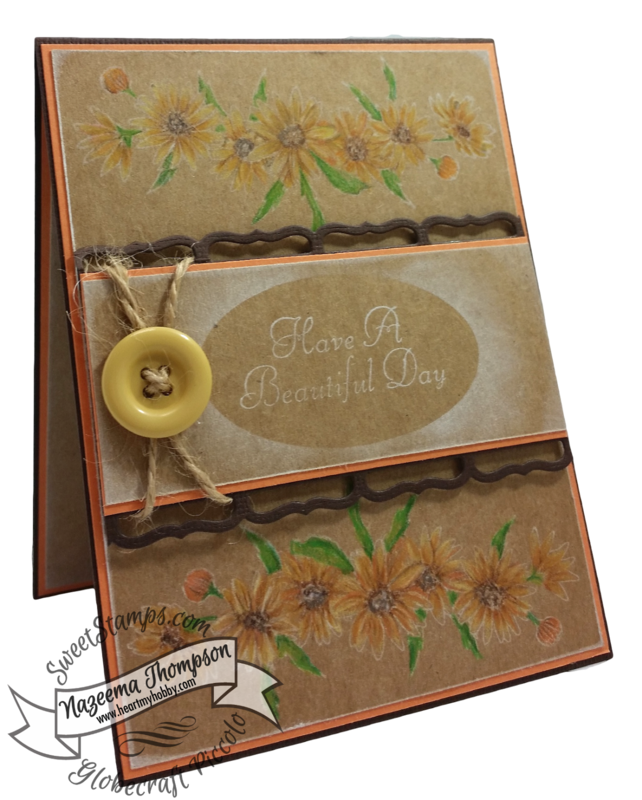 For my card today, I am using Daisy Swag, which I stamped on kraft cardstock using white dye ink. Once the ink dried, I colored the image using my neglected Prismacolor pencils. I took the dye white ink and inked the edged of the card base, as well as the sentiment panel. I used an oval die cut to create the negative space, in which the sentiment was stamped in. Decorated with some twine and a button!! Putting the card together was easy, but the coloring is what took the longest. Very pretty card and beautiful colouring, thanks for sharing with us at Polkadoodles this time.